In Issue #54, we provided information About Professional Business Valuations. In this issue we will identify the Top 33 Obstacles to a Successful Business Sale. The overriding reason businesses don't sell is failure of the owners to plan their exit strategy, which results in failure to identify the obstacles to a successful sale. If the obstacles in a specific situation are not identified and adequately addressed, the business owner is highly unlikely to successfully sell or exit his or her business with the desired financial security. 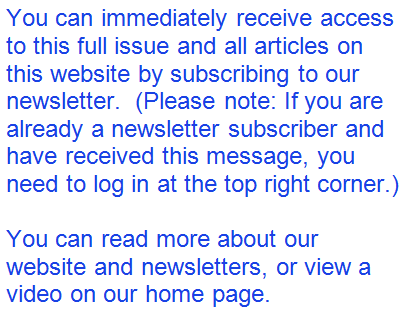 Clicking on the links above will transfer you the newsletter issue dedicated to the obstacle described in its title. In Issue #23 we previously covered 66 Obstacles to a Successful Business Sale and had a one paragraph explanation of each obstacle in Issues #24 - #29. Click to read: Issue #23 - 66 Obstacles to a Successful Business Sale. The first 33 obstacles in Issue #23 are the same as the top 33 obstacles listed above. We felt the top 33 were worthy of an issue dedicated to each obstacle. Can All Obstacles be Overcome?